P100,000 awaits the champion while the first runner up gets P50,000 and the second runner up will take home P25,000. Plus, all non-winning dance groups will get a consolation prize of P5,000 each. The group with the most number of contingent/supporters will receive P20,000. “We’re proud to showcase the best talents of the Filipino youth as we celebrate World AIDS Day. 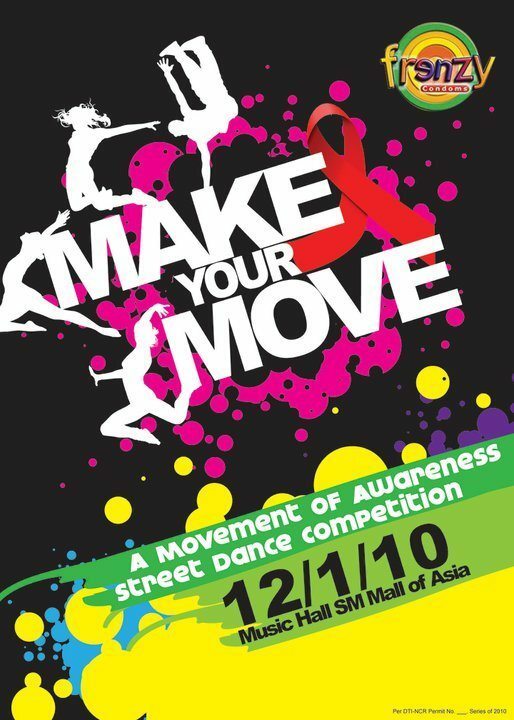 Filipinos are very talented and we want to be instrumental in spreading awareness about AIDS in a wholesome and fun way. Make Your Move is literally, a step in the right direction” says Norman Campoy, Brand Manager for Frenzy.